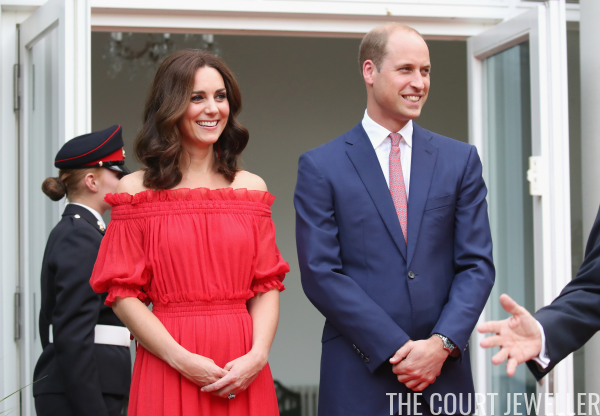 For tonight's reception at the British Ambassadorial Residence in Berlin -- another birthday party in honor of the Queen -- the Duchess of Cambridge wore bright red -- and even more new jewelry! 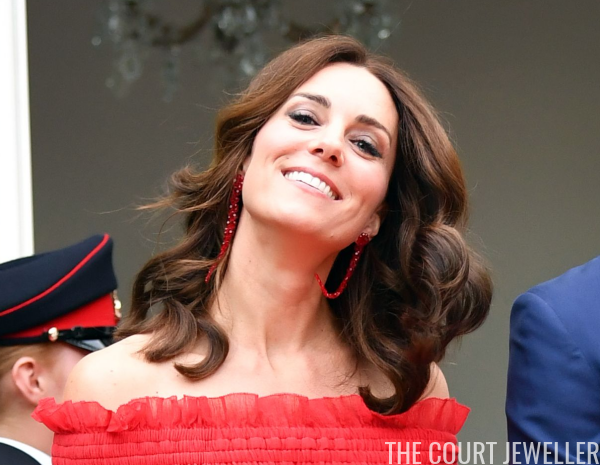 With her bright red maxi dress, Kate wore a dramatic new pair of earrings from Simone Rocha. The red beaded earrings, which are made of PVC, feature a floral motif at the stud. 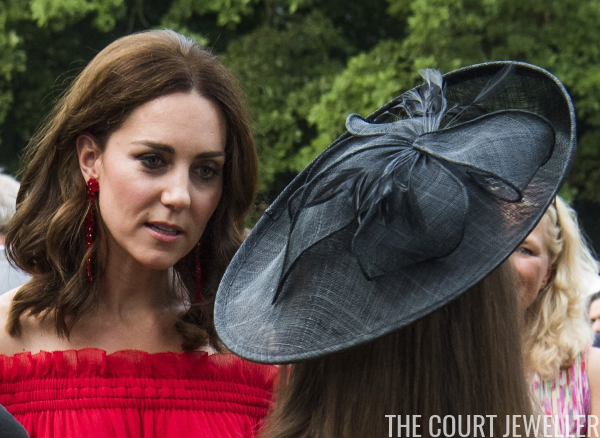 The dangling earrings unfortunately got lost a bit in Kate's hair. Here's a look at Kate's entire ensemble for the evening -- a more casual outfit for a summery evening garden party.